BAM! Spielberg And Ten Hours Of Killer Aliens! Steven Spielberg has made four movies about aliens in his lifetime: “Close Encounters,” “ET,” “War of the Worlds,” and “Indiana Jones and the Kingdom of the Crystal Skull.” We’ll exclude “The Terminal” here, because that movie was about an ILLEGAL alien, and because it sucked. 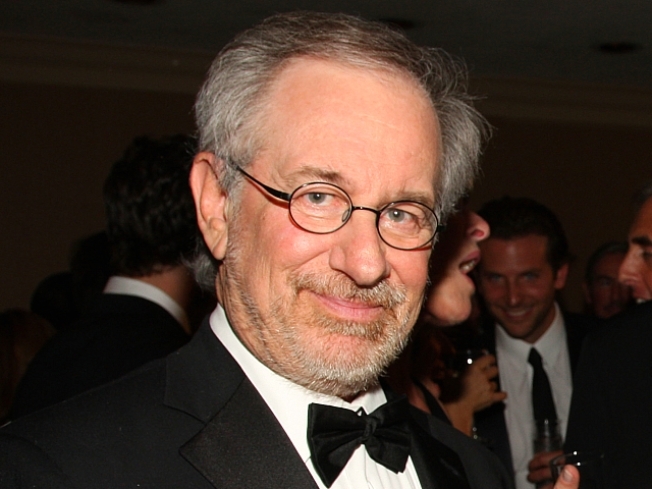 Those four Spielberg alien movies represent a downward trajectory. “Close Encounters” and “ET” are classics. “War of the Worlds” had cool effects but perhaps the stupidest ending of any movie not titled “The Village.” And “Indiana Jones and the Kingdom of the Crystal Skull” had a guy surviving a nuclear explosion by hiding inside a metal refrigerator. At this rate, you would think Spielberg’s next alien flick would be “Alien Vs. Predator 2: Aliens Take Manhattan”. The project reunites Spielberg also with his “ER” star Noah Wyle. TNT launches it sometime next year. “The series opens shortly after aliens have wiped out most of the human population,” reads the press release issued Thursday. “The aliens are now rounding up the few people left, but they are met with strong resistance from a group of soldiers and civilians who fight for their survival all while struggling to maintain their humanity. And the name of the leader of that resistance? JOHN CONNOR. No, just kidding. Wyle’s character will be named Tom Mason. This series may be the most ambitious project TNT has ever undertaken, and it represents a fairly big shift from the network’s slate of character-driven dramas like “The Closer” and “Saving Grace”. I hope it’s good. I also hope the main guy’s son doesn’t miraculously reappear in an untouched Boston home at the end of it.